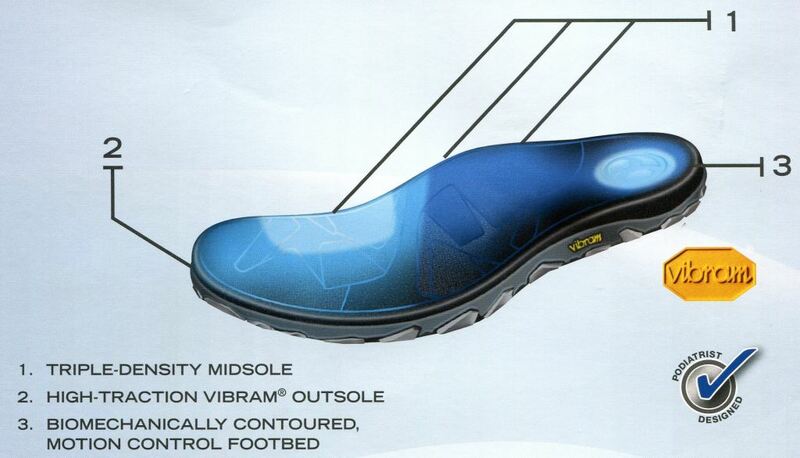 Durable VIBRAM® outsole for excellent traction on various surfaces. Biomechanically contoured, motion control footbed made from triple density EVA. Stability in the rear foot, cushioning in the heel and forefoot. Additional cushioning compared to Orthaheel Tide, Kinetic, Wave & Ryder. The Orthotic Shop is dedicated to providing your body a solid foundation. We have inventory in several warehouses around the country to ensure our customers get the product they need in a timely manner. Free Shipping, Free Returns and Free Exchanges: If you need to return or exchange an item, our easy to use return system will help you print a free-to-use Fedex return label. 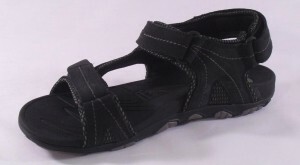 View the entire line of Vionic shoes, sandals, slippers, & orthotics. Our feet were designed to walk on soft, natural surfaces like soil and sand. Yet today we spend most of our time standing, walking and running on unnatural hard surfaces. This loss of our “footprint” has resulted in a variety of pain and injuries affecting not just the feet, but the entire body. Unnatural surfaces force our feet to pronate (roll over) to gain ground contact, which flattens the arches and can disrupt normal knee function and hip alignment and increase pressure on the lower back. Clinical research supports Orthaheel’s success in restoring the foot’s natural (neutral) alignment, enabling the feet, ankles and legs to function dynamically as they were intended. Orthaheel’s unique orthotic is built into their collection of sandals, slippers, and athletic shoes. If you are not convinced this is the most supportive and comfortable performance sandal you have ever worn, Orthaheel or the Orthotic Shop will give you your money back.